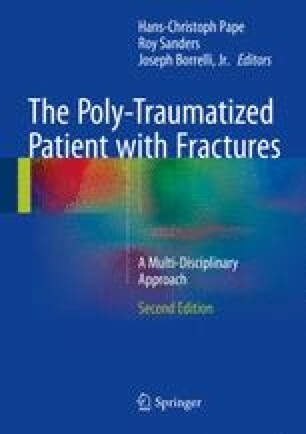 Vertebral column fractures in the polytraumatized patient represent a heterogeneous group of injuries that vary in both severity and complexity. The timely identification and treatment of patient with these injuries is of the utmost importance as a missed or delayed diagnosis may lead to neurologic deterioration that is often irreversible. The specific set of risks associated with caring for this subset of patients requires collaboration between specialists from multiple disciplines of medicine. As such, all providers treating these severely injured patients should be familiar with key principles used to stabilize, diagnosis, and ultimately treat these injuries. Determination of cervical spine stability in trauma patients. http://www.east.org/tpg/chap3u.pdf. EAST (Easatern Association for the Surgery of Trauma); 2009.